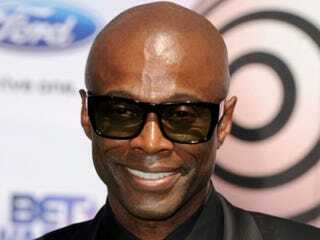 Kem — the singer, songwriter and producer responsible for the grown-up R&B singles "Love Calls," "I Can't Stop Loving You" and "Why Would You Stay" — says music saw him through some of his darkest times. He was drug addicted and homeless until not long before he independently released his first album, Kemistry. It caught the interest of Universal Motown, and the label signed him to a five-record deal in 2001. His third and most recent project, Intimacy, is an insightful collection of love ballads that debuted at No. 2 last summer on Billboard's Top 200 Albums chart. The Root caught up with Kem at the National Association of Drug Court Professionals' Drug Court Training Conference, where he had delivered remarks in support of the court's alternative, closely supervised treatment for nonviolent drug addicts. It's a topic that hits close to home for the artist, who says his recovery has been the cornerstone of his success. Whether discussing Tyler Perry, George Bush or his competition in the music industry, Kem seems to remain effortlessly above the fray of petty controversies. His perspective is as steady and mature as the music that's earned him nominations for NAACP Image awards, Soul Train Awards, BET Centric Awards and Grammys. And while the themes that run through his responses could sound cliché from a less contemplative artist, he delivers them with authority: Share your message. Coexist. Give back. The Root: You just gave remarks at a conference in support of the work of drug courts. Why is it important for you to be here? Kem: As a recovering addict, I've been given a lot in my life, and it is important for me to give back anytime I'm asked. Until recently, I was unfamiliar with drug courts, but I spoke at a [drug court] graduation ceremony in Detroit a few weeks ago. I have a lot of appreciation and gratitude for the work drug courts do. TR: You were homeless before you were discovered. Do you see music and the music industry as a viable way out of difficult circumstances? Or were you just lucky? My desire to be successful in the music industry helped me pull through some of the darkest periods, but in and of itself, no. My recovery is what has allowed me to enjoy living in my gifting. My recovery is my foundation — my music is secondary. TR: You've performed at an event for one of President Obama's cabinet members. Do you feel a responsibility to be political? TR: Your song "Tonight" was on the sound track to Madea's Family Reunion. What do you think of the debate between Tyler Perry and Spike Lee? K: Both directors have served the African-American community well with film. I think that everybody is entitled to their opinion. Tyler Perry is successful, and Spike Lee has been successful at what he does. You know, you see the same thing in music. Like, I'm supposed to be mad at rappers because I make a more traditional brand of music. But no, there's room for everybody to coexist. TR: Intimacy is your third release from Universal Motown. What's changed with black music since Motown's heyday? K: As far as black music — African Americans and our contributions to music — someone asked me about this during Black History Month, and I said you hear our contribution to the music industry through every genre of music. [For example,] hip-hop is no longer a black thing. It's a multicultural, multigenerational brand of music. And this definitely ain't Berry Gordy's Motown. TR: Is that a bad thing? People always say they don't make music like they used to. Do you agree, or do you see value in what's out there today? K: In large part that's a generational thing, because when I was growing up, what I was listening to was not what my parents were listening to, and what they were listening to was not what their parents were listening to. So with each generation, there's going to be that divide. People have a right to express themselves they way they want to, and the listener has a right to choose what they want to listen to. TR: What's on your iPod? TR: Do you have a position on the controversy surrounding the elimination of several Grammy Award categories, and the allegation that the cuts discriminate against ethnic minorities and performers of genres outside the mainstream? K: On a certain level, it's always been a popularity contest. As a voting member, I may not be aware of an artist in a classical-music category, but a person in my position might vote for the person whose name they know. Just like if you're not hip to rock, you might just vote for Van Halen because it's a name you recognize. But as artists, our job first and foremost is to create the best product we can create and serve the people who love what we do. If it's meant for us to get an award for something, we'll get an award for something.